These are the last drawings Milt Kahl ever did for Disney. 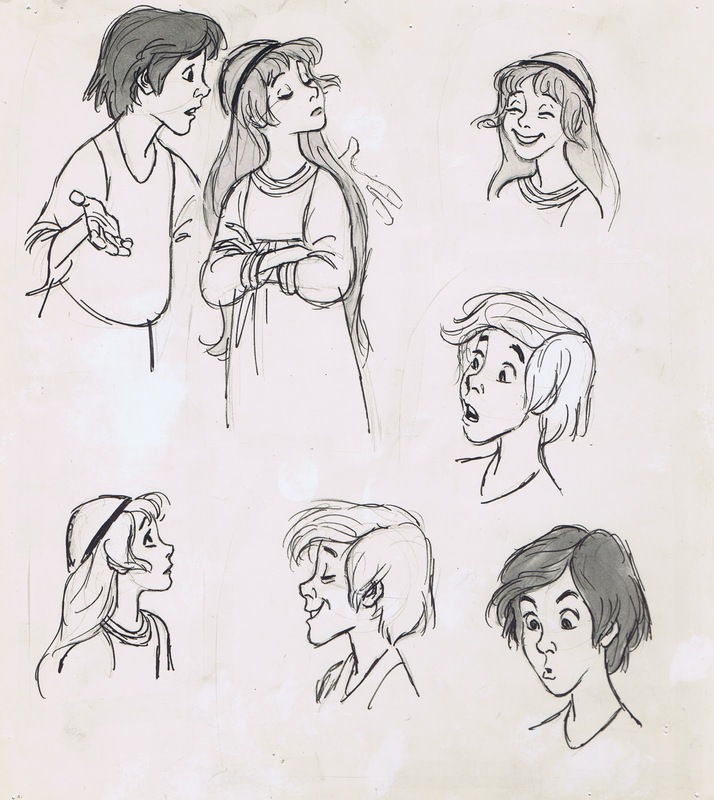 He had already left the studio and moved to Marin County in Northern California. 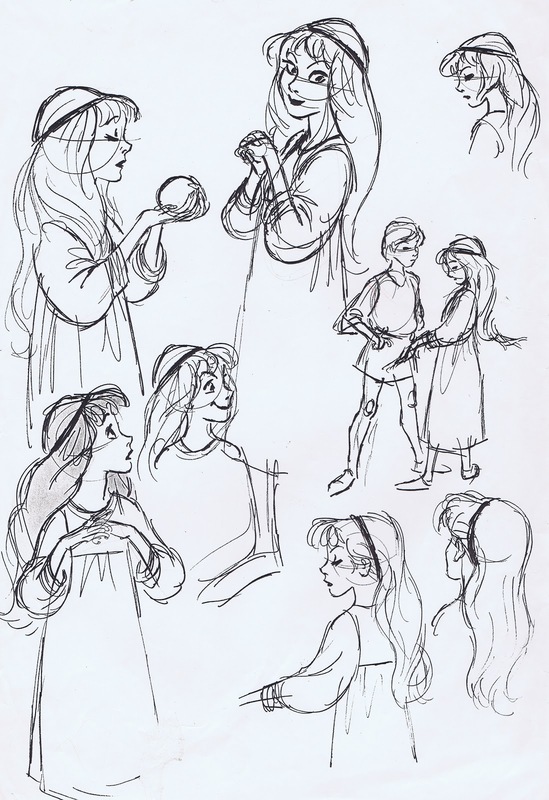 The film The Fox and the Hound was being produced without any input from Kahl, but the management team that would head up the next animated project The Black Cauldron felt, it couldn't hurt to ask the old virtuoso to help out with a few character designs. 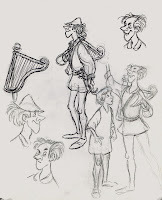 So they sent him the Lloyd Alexander books and told him that the movie would be based on story elements from these fantasy novels. Milt liked the material and went to work. 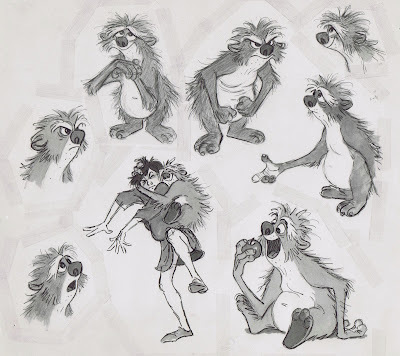 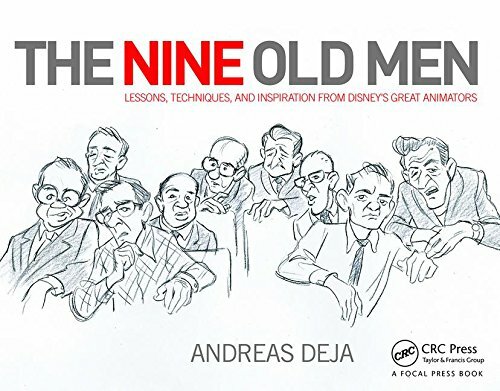 Vis Dev sketches from artists like Bill Peet, Ken Anderson, Tom Oreb and others. 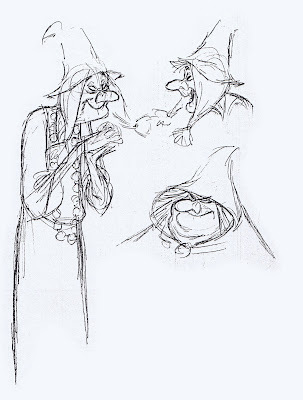 Milt himself admitted that he sees himself more of a refiner when it comes to setting the look of Disney characters for a new film. 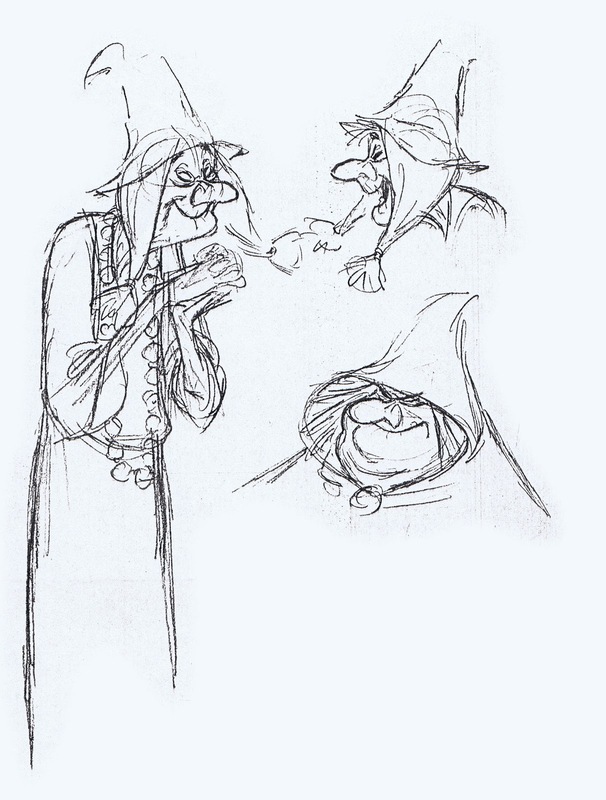 So by not having any fresh visual material in front of him, Milt couldn't help but recycle some of his own design elements from earlier movies. All of these are BEAUTIFUL drawings, but ...Taran looks like a mix of Peter Pan and Mowgli, Princess Eilonwy resembles Alice and Tigerlilly, and Fflewddur Fflam could be the brother of Roger from 101Dalmatians (Gurgi is a more interesting invention). 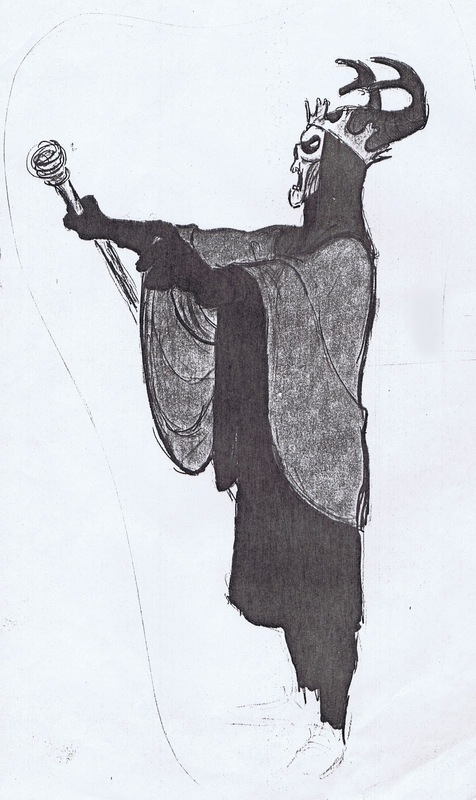 The costume designs lack spark as well. 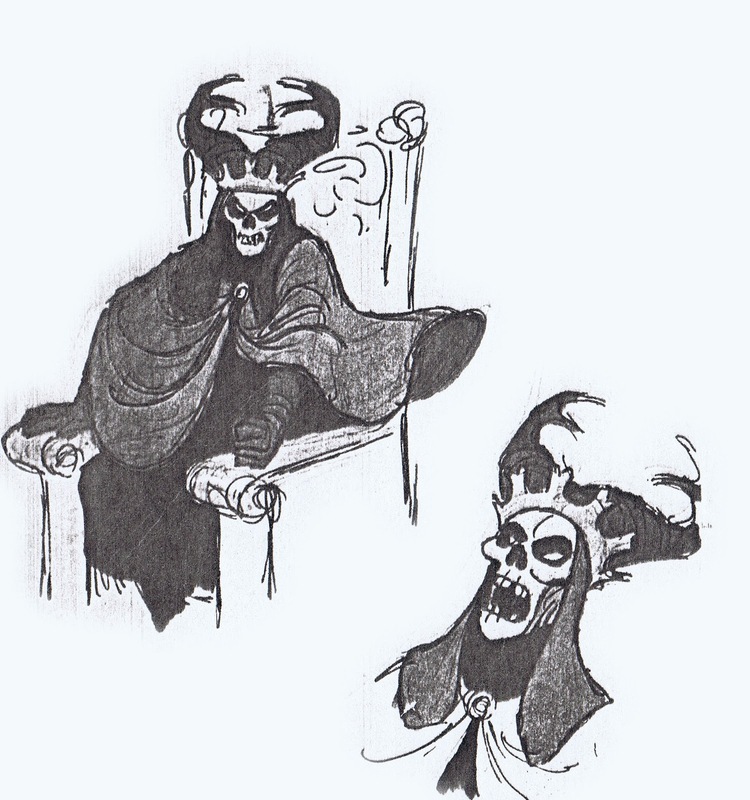 All of this would look so much more inspired, had the studio supplied Milt with inspirational sketches from Disney artists like Mel Shaw, Vance Gerry or Peet Young, who all worked on Cauldron. 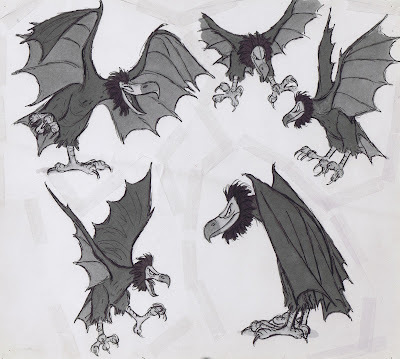 The Gwythaints are distant relatives of the vaultures from Jungle Book. 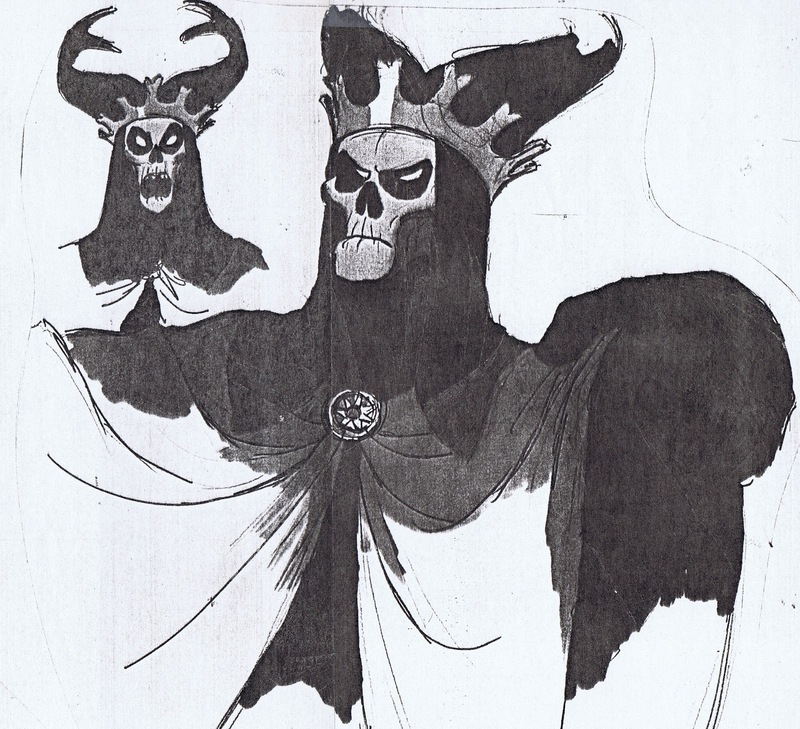 The Horned King should have been a menace like Fantasia's Chernabog. 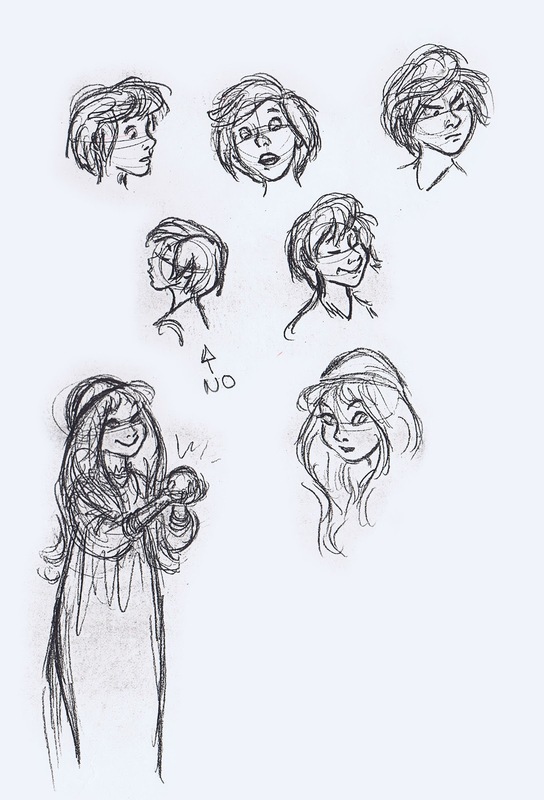 The Witches of Morva are variations of Medusa and Madam Mim, gorgeously drawn though. 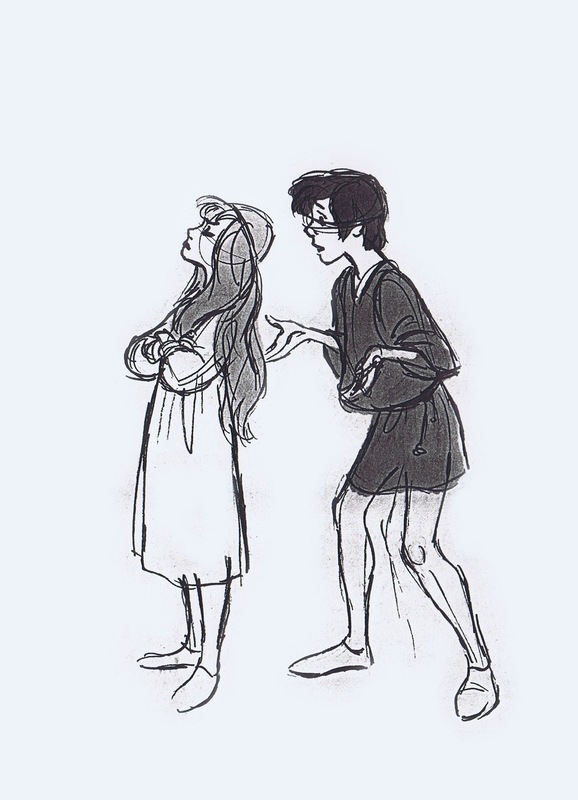 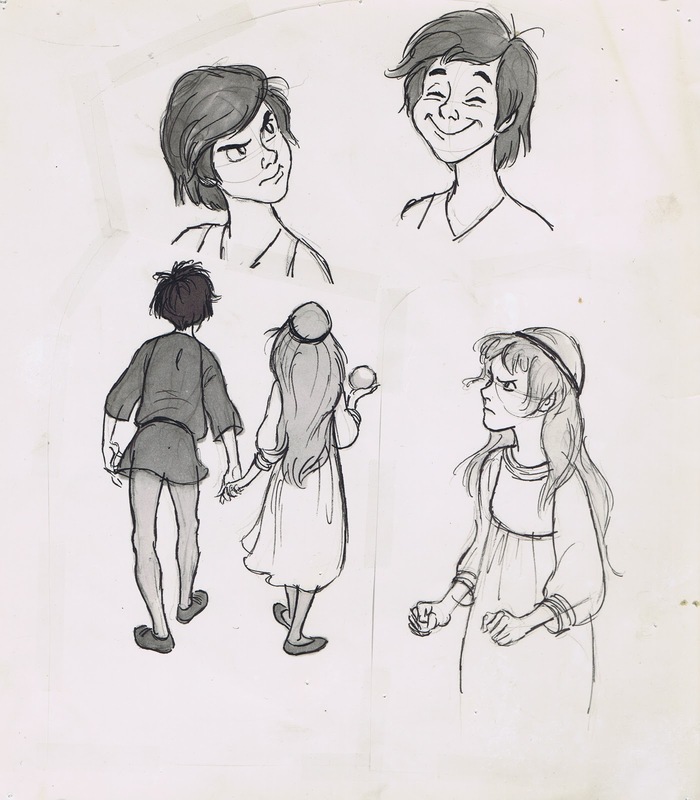 In the end our animation team did change some of these character concepts, except for Taran and Eilonwy. 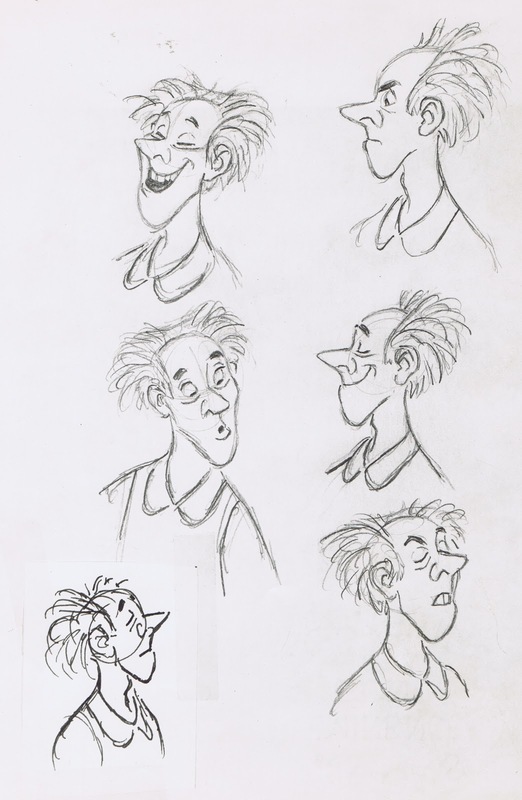 We were asked to basically use Milt's models, but we sure weren't ready to take on that kind of realism. 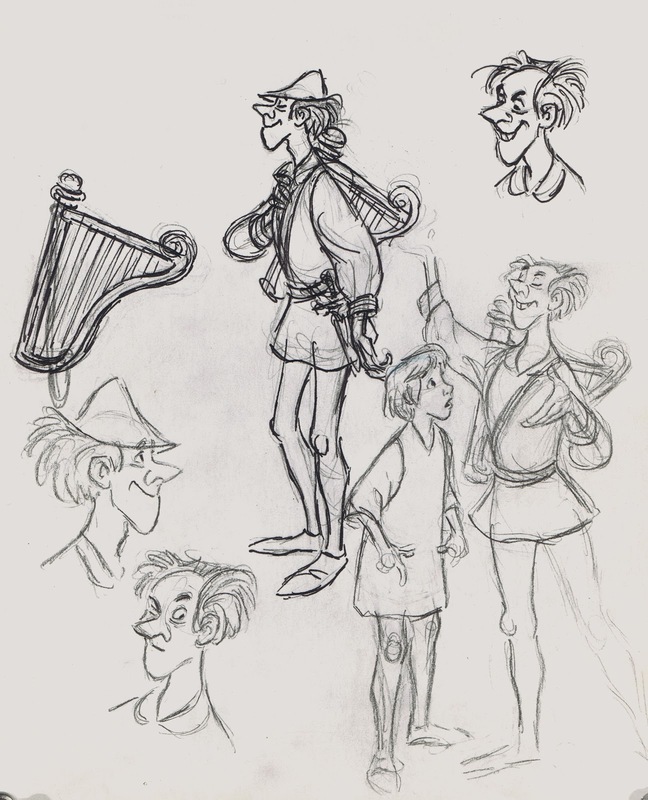 It's fun though to think that Milt's career and mine overlapped just a little bit. 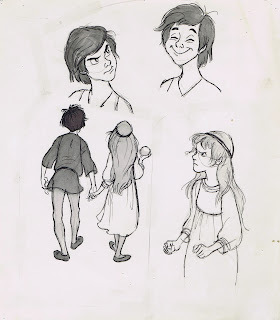 And by the end of production of The Black Cauldron I felt like I had learned how to walk, and it was time to move on to new projects with a tiny bit of experience under my belt.